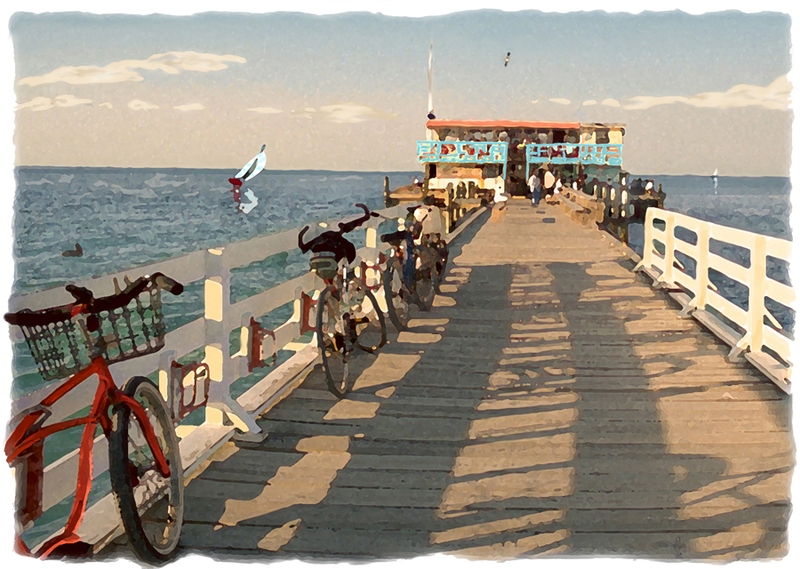 Anna Maria Island is a quaint 7 mile barrier island on the Gulf of Mexico coast in Florida. It has become a popular vacation destinations and features beautiful white sandy beaches. Three small cities blend into each other with a mix of residential areas and restaurants and boutique style shops. There are a multitude of cultural arts events, museums and festivals that abound on and around Anna Maria Island. the surrounding areas enjoy more than its share of outdoor recreational opportunities. White sandy beaches, sparkling blue water, boating, fishing, golf, big league sports and more ensure that Anna Maria Island and Manatee County’s visitors and residents enjoy year-round entertainment. Because Anna Maria Island is surrounded by water and Manatee County is threaded by various waterways, boating and fishing are some of its most popular activities. There many marinas and boat ramps available to serve this thriving pastime, making it easy for anglers and boaters to access the Gulf of Mexico, not to mention the region’s bays, rivers and bayous. The gulf coast and inland waterways provide fertile fishing grounds for such tasty favorites as pompano, flounder, redfish and trout. The Gulf of Mexico yields larger catches, including grouper, tarpon, mackerel and kingfish. For those who prefer to fish from more solid ground, Anna Maria Island offers a host of public fishing piers, including the Anna Maria City Pier at Pine Avenue and the Rod n’ Reel Pier on Bay Boulevard in Anna Maria. Fishermen of every skill level can also take advantage of the Manatee Beach Fishing Pier located on Gulf Drive in Holmes Beach and the Bradenton Beach Fishing Pier at Bridge Street. And the county is also proud to claim the world’s longest fishing pier, extending more than mile and a half out from one side of the old Skyway Bridge!